Cover art by the amazing Emosite CC! Check out her DeviantArt for more fantastic art! Spike was filled with doubts, confusion and fear on where he fitted in the world. It scared him to think that he was nothing to his friends, to Twilight. After finding out the hard truth in an argument, he realises that this bond he shared with them was nothing but a mere illusion, a painful lie that shattered him completely. Becoming lost in his own misery, he runs away only to be taken by an offer. A few months pass and struggling to manage, Twilight comes to terms with her mistakes and the search for Spike dies down. Seeking vengeance, past threats are united through fear by a demented alchemist who wishes to twist and ruin Equestria with the power of terror. 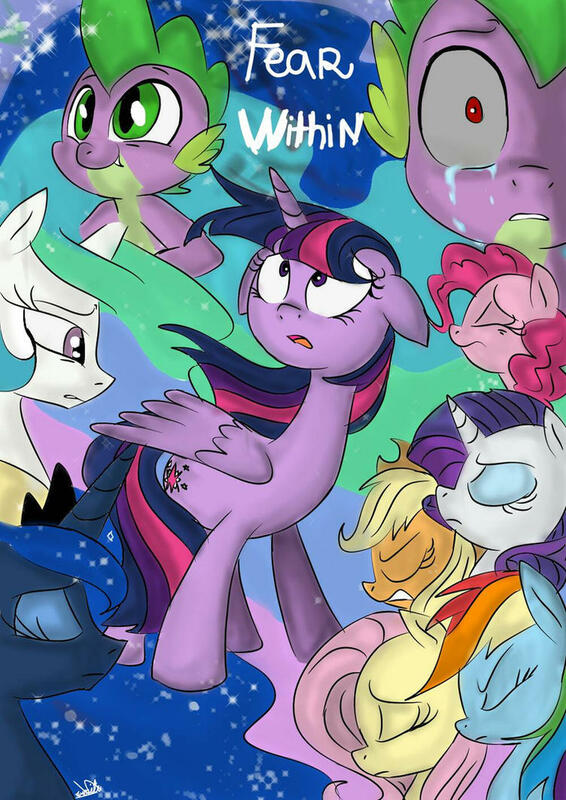 In a desperate attempt to try and find Spike once more, Twilight and her friends must overcome their greatest fears.